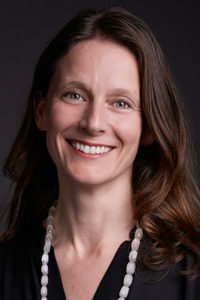 Lisa Bostwick joined Eugene Ballet in 2016 as the Development and Education Coordinator, having most recently held the position of Ballet Program Director at Dancewave in Brooklyn, NY. Lisa began her ballet training in New York, continued her formal training at Central Pennsylvania Youth Ballet, Pittsburgh Ballet Theater, and BalletMet, and had the honor of training and performing with the Rimsky-Korsakov Conservatory in St. Petersburg, Russia. Lisa performed with the Alabama Ballet for seven years and was seen in soloist and principal roles in classical ballets such as The Nutcracker, Don Quixote, Sleeping Beauty, Cinderella, Swan Lake and George Balanchine’s Divertimento #15. Lisa also performed in contemporary and modern works by choreographers including Margi Cole, Craig Patterson, Robert Battle, Johan Renval, and Teri Weksler, director of Birmingham’s resident modern dance company, Southern Danceworks, with which Lisa performed for nine years. Lisa has taught dance for more than 20 years, including more than a decade of teaching summer dance intensive programs, recently at Eugene Ballet Academy, and across the Northwest. In addition to her years with Dancewave, she directed the opening of the Alabama Ballet School, and was an instructor at Ballet Tech and Brooklyn Ballet. Lisa has also designed curriculum for professional training programs, private high schools, and outreach in the public schools, and has served as a representative for dance, education, and program administration at both the Alabama Ballet and Dancewave, NYC. Lisa received a B.S in Arts Administration from Butler University with a concentration in dance, and a business minor, graduating with highest honors. She is also a National Science Foundation scholarship recipient, graduating with a degree in environmental studies in 2015.